Aftermarket Warranty… Worth It or Not? We’ve all heard the term “after-market,” but what does that mean? Anything that didn’t come with the original product is considered after market. If you buy a brand new car and then later purchase really cool rims, those are “after-market” rims. Warranties are available after-market too, and may be a wise choice if you are buying a used car. An after-market warranty protects your car from things that an original manufacturer warranty may not. They are similar to extended warranties offered by dealers and essentially extend your coverage. But, not all warranties are created equal. Most dealers will try to get you to buy their extended warranty at the time you purchase your car. But you might find a better deal in an after-market warranty from another company. Ask your dealer how long you have to purchase their extended warranty and then shop around. What do you think? Have you had a better experience with a dealer extended warranty or after-market warranty? Send us your comments and empower another woman to make an informed decision! A vehicle warranty is an insurance policy for your car parts. It protects you and your wallet from design and manufacturing faults, but doesn’t usually cover regular wear and tear and replacement of parts needed during regular service, such as oil, filters, belts, tires, wipers and spark plugs. Many new cars come with a “bumper-to-bumper” warranty that lasts for a certain period of time or until a certain amount of mileage is reached. This type of warranty covers almost everything between the vehicle’s front and back bumpers. An extended warranty, on the other hand, is coverage you purchase in addition to the “bumper-to-bumper” coverage. If you opt for this type of warranty, make sure the extended warranty option covers the same things the original “bumper-to-bumper” warranty covers. A vehicle warranty can be a great investment, can save you thousands in repairs and can protect you from defective parts and manufacturer errors. If you are purchasing a used car, check to see if the manufacturer warranty is still in effect and if you can take over the remaining period of that warranty. If not, consider purchasing an after-market warranty, which we will discuss in our next post. Okay, maybe not that. 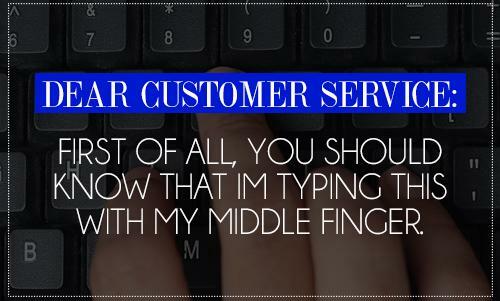 But if you have had bad customer service, take some appropriate action. Start when it is happening. If your mechanic or auto sales staff member is not treating you with great customer service, let them know – and don’t use sign language! Tell them, nicely, that you feel that you are being treated less than fairly or kindly. Let them know what you expect and ask how you can get that type of service from them. All business owners and employees want to provide stellar service. Give them the chance to by informing them nicely when they are not. If that doesn’t work, write them a letter explaining your dissatisfaction and give them the opportunity for a do-over. You might get something for free or at a discount. Who knows… you might even get an apology! Shout out to Caroline Lake and her crew at Caroline’s Cars on the other side of the pond! A customer walks into a shop. Sounds like a bad joke, right? Well, if the customer is unprepared to discuss what service she needs, is in a nasty mood, or is utterly intimidated by the staff or the atmosphere, it could be worse than a bad joke. Likewise, if the shop is not prepared to serve this customer, make her feel welcome and at ease, and willing to have her leave in a good mood, the outcome could be disastrous. Greet them! This might seem like a no-brainer, but too many customers go unnoticed and ignored. Not a good first impression. Say “Hi,” smile and make them feel welcome. Even if you’re busy, tell them you are glad they are there and you will be with them shortly. Make them comfortable. Yeah, ladies like being comfortable. Make sure your waiting area is clean and welcoming. Don’t have inappropriate pictures or television shows on. Keep a mix or literature, some related to cars and auto repair, and some that would interest professionals, sports enthusiasts, homemakers, seniors and women of all types. Make eye contact…. with their EYES! I’m not saying that any guys out there would look anywhere else, but women are often uncomfortable and anxious when they show up at the auto shop. Put them at ease by making direct eye contact when you talk to them. This shows that you are paying attention to them and that you care. Just like ladies have to work to break stereotypes, male mechanics must work to break the negative stereotypes often associated with them. Sorry guys, that’s just the way it is. Speak in non-car language. Gauge the level of knowledge your customer has. As you explain what needs to be done and what you recommend, ask if she understands. If not, explain it in a way that makes more sense and show her the parts on her car that need to be replaced or serviced. Ask for her business. Don’t assume that every customer will just roll over and sign the sales slip. The best way to earn a loyal customer is to ask for their business. Once you’ve followed the outline above, you will be in a position to sincerely ask your customer if they would like you to complete that service for them. Don’t sell, don’t push, don’t pressure. Just ask. Explain the benefits and costs of the service, and the consequences and costs of not getting the service done. 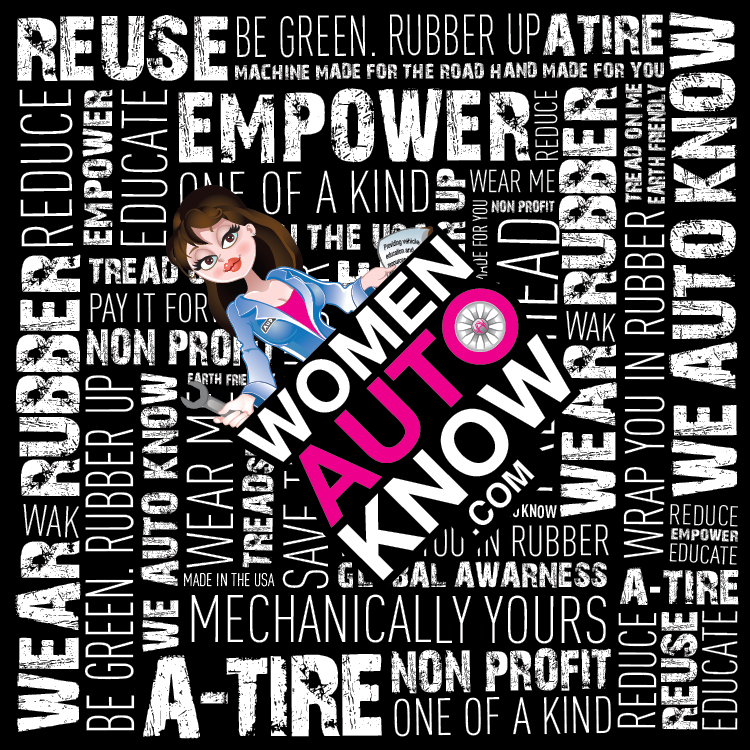 Finally, ask your customer if she had a good experience, would she recommend you and would she log on to www.womenautoknow.com and post a glowing review of your shop. Shops, share this post with your staff; and customers, share with your shop. Help each other deliver and receive the best customer experience possible. After all, we’re all on the same team!